TeacherDance: May Day - No - Snow Day! Seriously? Snow in May? Poor plants, shouting "hope." Yep-it's about 7 o'clock here & snowing-supposed to be here all day. Melting on the streets so far! Thanks, Terje! Thanks Tabatha. Couldn't 'not' write about this particular May Day! Happy May Day, Linda! 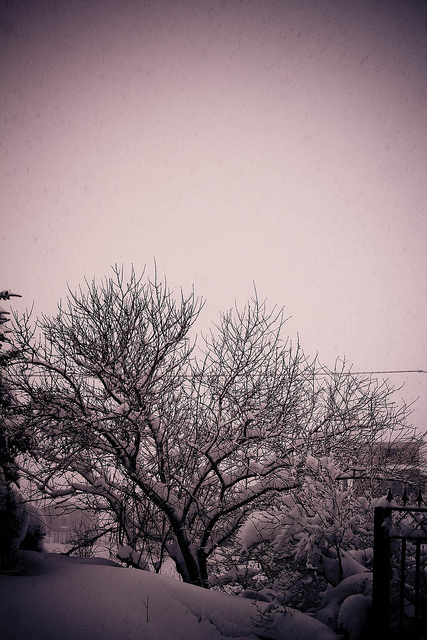 Can't believe you're having snow yet again, but love your poem of hope :). Thanks, Jama. So lovely to hear from you! I will love the lei! Didn't read this until this morning, but it's definitely a perfect description of the wild weather we have been having. Love that you put such a hopeful twist on such a cold, grey week! Thanks Carol-It was quite a day, wasn't it?